Insurance statistics show that recently hired employees are far more likely to suffer on-the-job injuries than more experienced workers. Employers assume new employees know more than they really do.Â Orientation offers an opportunity to find out how these workers know about safety. 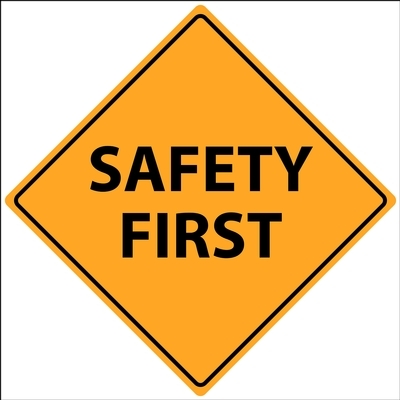 Many new employees are afraid to ask questions.Â Supervisors need to tell these workers there are no “stupid” questions about safety. Many workplaces assign an experienced employee to guide and mentor new hires. Because the environment is unfamiliar people don’t know what to do in an emergency.Make sure new employees familiarize themselves quickly with the facility and receive training in emergency procedures. Employee training focuses on tasks, not safety.Â Job instructions should address potential dangers and how to avoid them. Employees lack knowledge about hazardous substances.Â Provide appropriate raining when assigning new workers to jobs that could expose them to hazardous materials. New workers don’t understand the importance of personal protective equipment.Â Injury statistics show that an alarming number of new workers weren’t wearing PPE that could have prevented or reduced the severity of the mishap. Make sure your orientation includes information about selection, use, and care of PPE. The worksite doesn’t convey the message.Â New employees need to see a workplace that’s clean and orderly, supervisors who answer safety questions promptly and politely, and frequent drills in emergency procedures. The initial impression can make a huge difference in the new worker’s attitude toward safety. The professionals at Tracy-Driscoll stand ready to offer our professional advice on helping you keep all of your employees safe on the job. Â Call us today at 860-589-3434.